register the presence of a stimuli. Showing recent results 541 - 553 of 553 products found. The same quality Avantes is well-known for, now in an easy-to-install package: the ULSi is the ideal choice for any system integrator. 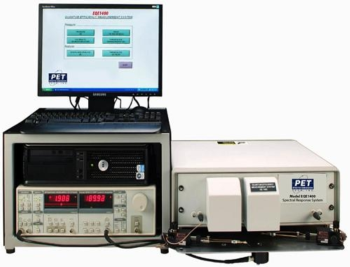 Fiber optic spectrometers have been integrated into many end-user systems in almost all areas of research and detection. Now Avantes releases its first completely integrated spectrometer: one housing including the optimum Ultra Low Straylight optical bench and a miniaturized version of our flexible AS5216 electronics board. The ULSi is available with the three best-selling detectors Avantes offers: the Sony ILX554B with 2048 pixels, the Sony ILX511 with 2048 high pixels for extra sensitivity and the Toshiba TCD1304 high resolution 3648 pixels. The same wide range of slits, gratings and other options available in the mainline spectroscopy lineup are also available for the ULSi. 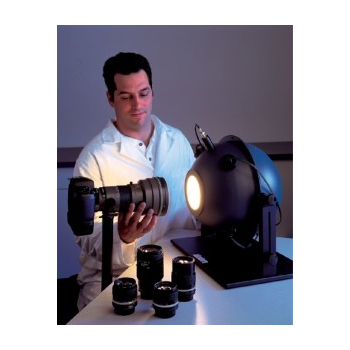 An internally illuminated integrating sphere provides spatially uniform luminance and illuminance which is perfect for flat-field correcting and calibrating imaging systems, calibrating photometers and spectroradiometers and for testing detector arrays and remote sensing instruments. Integrating sphere-based sources, also known as uniform light sources, exhibit luminance uniformity at the 98-99% level over the full exit port area, which is significantly higher than can be achieved using alternative techniques.Labsphere´s uniform light sources are coated with high reflective Spectraflect coating. A number of different optical accessories like optical attenuators, filter wheels, different types of detectors and the option of Spectralon coating allow an easy adaption of standard uniform light sources to almost any application. All light sources are controlled by a user friendly software interface. Optilab’s Terahertz Source is a set of fully integrated optical heterodyne signal sources packaged in a 1u rack mount configuration. Based on Tunable Wavelength Laser (TWL) systems, the Optical Heterodyne Source series produce optical heterodyne signals up to 10 Terahertz. An optical heterodyne is a signal produced by the frequency beat of two optical sources. The beating makes the optical signals detectable by GHz and slower, square-law detectors such as PDs and finds varied uses in LIDAR, spectroscopy and other high phase-sensitivity applications. 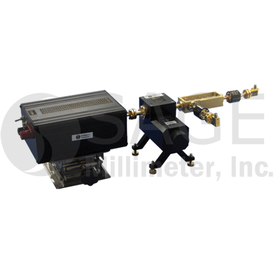 The Optical Heterodyne Source series provides high accuracy and high stability optical heterodyne signals over large signal range. 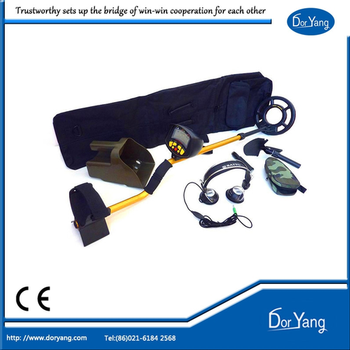 The integrated GUI software gives the user full control of the optical heterodyne signal. 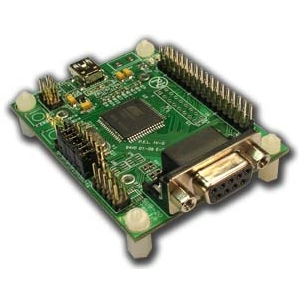 SUB-20 is a versatile and efficient bridge device providing simple interconnect between PC (USB host) and different HW devices and systems via popular interfaces such as I2C, SPI, MDIO, RS232, RS485, SMBus, ModBus, IR and others. It is also a full "any to any" converter between all supported interfaces and I/O features. SUB-20 is a powerful I/O controller with 32 GPIO, 8 Analog Inputs, PWM Outputs, Edge DEtectors, LCD, Leds and push buttons.SUB-20 system includes SW package containing driver, API Library, GUI and Command Line based applications, C,C++,C#,VB.net, MATLAB, LabView sample code and documentation. SUB-20 can be used with PC 64/32 bit running Windows 2000/XP/Vista/Win7/Win8, MacOS, Unix/Linux and DOS.Working with SUB-20 does not require deep knowledge of low layers of the specific interface. All you need to do is to call right API function at the right place. And this is really very easy as API functions are well documented and "exampled". API set is relatively small but comprehensive.SUB-20 is equipped with status Leds, optional LCD and buttons. All this guarantee fast and comfortable development, field debugging and maintenance of applications including option of standalone operation. MAOP-L284CN - Macom Technology Solutions Inc.
MACOM’s MAOP-L284CN features four high bandwidth Mach-Zehnder modulators integrated with four lasers (1270, 1290, 1310, and 1330 nm) and a CWDM multiplexer, with each channel operating at up to 28 Gbps. 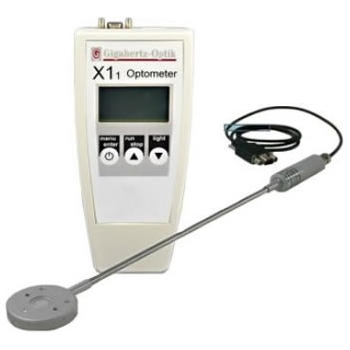 The L-PIC™ transmitter operates on a standard single mode optical fiber, and includes integrated tap detectors for fiber alignment, system initialization and closed loop control. 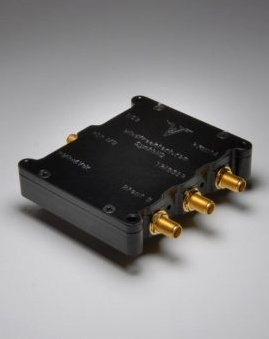 A single fiber aligned to the output edge coupler of this 4.0 x 6.6 mm die is the only optical connection required for integrating this device into QSFP28 transceiver applications. A bidirectional coupler is provided on the multiplexed output to facilitate both fiber coupling and to monitor output power via an integrated photodiode. The MAOP-L284CN is available as part of a complete MACOM chipset platform, including the MAMF-011095 silicon PIC controller and the MASC-37053A high-speed, low-power modulator driver. 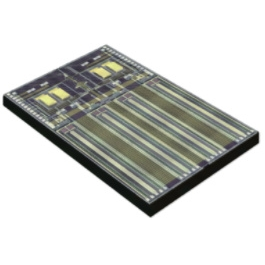 Optimized to work together, this chipset solution offers customers improved performance, eliminates the need for assembly of discrete components, reduces configuration and test costs, and accelerates time to market. 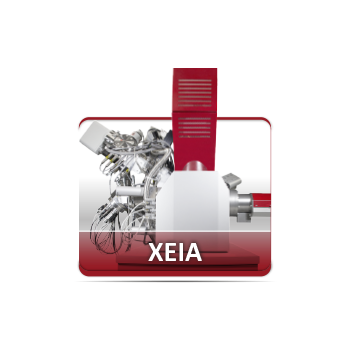 XEIA3 - TESCAN Brno, s.r.o. QE system provides electronics and software designed for fully automated measurement of external quantum efficiency of solar cells. All systems include probes and a fixed plate sample stage for samples up to 150 mm x 150 mm. The main system components include: custom designed software, measurement electronics, and computer system (Windows 8 operating system). The measurement involves focusing monochromatic light to a spot on the device under test, then accurately measuring the photon flux and current from the test cell. The system utilizes a dual beam configuration with lock-in detection, providing an absolute accuracy of ±3%. The QE system uses a grating monochrometer with silicon/InGaAs/Ge detectors. The system includes automatic order sorting filters and two light sources for monochromatic illumination (a Xenon- arc lamp and a halogen lamp). A single lock-in amplifier is used to measure both the reference detector and test device. 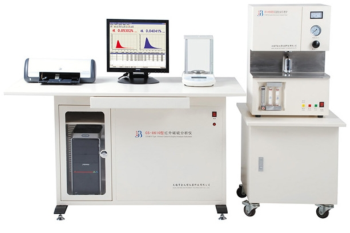 The main system comes with all the hardware needed to measure quantum efficiency, a fixed plate sample stage and probes. 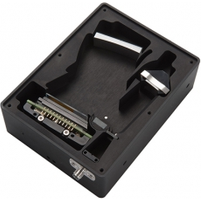 1.Fully Automatic and All Metal Detectors - Your detector detects all kinds of metal objects. Unless you have set for some objects that you don’t want to detect.2.LCD – The LCD with light, it improve to identify the metal in night or caliginous outside. 3.Target Identity - The detected objects are shown on the LCD display. You can decide immediately if the objects worth to be recovered.4.Unwanted Target Elimination - You can set the detector not to respond to some objects.5.Unique Tone for Target - You don’t have to keep watching the LCD display, when an object is being detected, an unique tone corresponding to a target will generate. You may even searching when there is little or no light.6.No Clumsy Slack Cable - hidden search coil cable (connecting between control unit and search coil) avoid entangling and for ease of stem length adjustment.7.Headphone Jack - provided for headphone connection. Both stereo or mono headphone can be used.8.Volume Control - for adjusting the output volume to the loud speaker or headphone.9.Batteries Condition Indicator - shows the conditions of the batteries in the battery compartment.10.Waterproof Search Coil - lets you use the detector in the shallow water.11.Adjustable Stem - lets you adjust the detector’s length for comfortable use. The micro-plug that connects the search coil and the controller unit is made of metal which makes the plug more reliable.